NEW YORK (CNNMoney) - It's been called the Weinstein effect. Following the bombshell investigations into Harvey Weinstein's conduct, more people began to speak out about sexual harassment, leading to a string of allegations against other prominent men like Charlie Rose, Kevin Spacey, Louis C.K., Jeffrey Tambor, Al Franken and others. Many of the accused have paid a steep price for their behavior. America has had its share of news-making scandals before. Anita Hill testified against Clarence Thomas in 1991, and Thomas still sits on the Supreme Court today. Decades of assault accusations followed former television star Bill Cosby even as his star was rising. And in 2016, the "Access Hollywood" tape depicting then-candidate Donald Trump boasting of sexual assault did not stop his ultimate presidential victory. So what's different in the moment we're experiencing now? 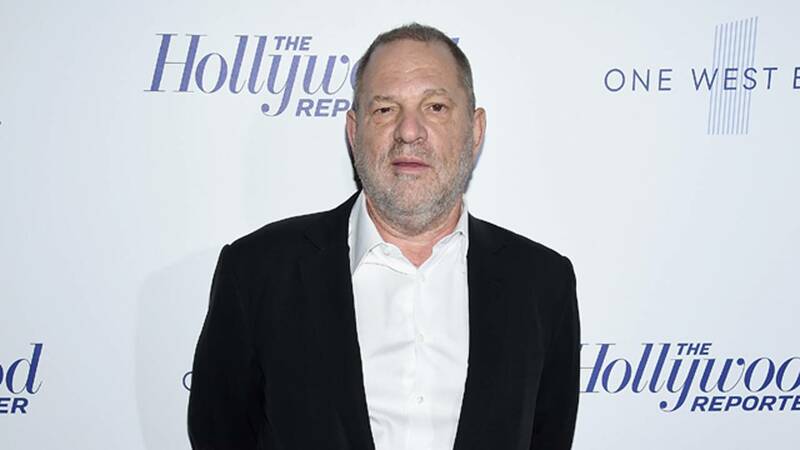 Many of the women who spoke out against Weinstein -- Gwyneth Paltrow, Ashley Judd, Rose McGowan -- are famous names. In previous high-profile sexual harassment cases, it's usually the men who are more well-known (see: Bill O'Reilly, Clarence Thomas). Experts say that the previous power dynamic -- the famous man accused by the less-famous woman -- only bolstered a false narrative, one that discredited women's stories. In Weinstein's case, however, as more women added their own allegations to a growing list, people paid attention. "What do we focus on in our society? Movies and social media and People magazine," says Tracy Thomas, law professor at the University of Akron. "So those are the voices that finally ... make a difference." And to people watching around the world, the women's fame cemented the credibility of their stories. "Class and race and stature play into whether someone is believed," says Fatima Goss Graves, president and CEO of the National Women's Law Center. "The nature of who is telling the story mattered here." Since Hill testified in 1991, the way in which people show support for survivors has changed, says Renee Knake, professor at the University of Houston Law Center. Case in point: the words we use. "When Anita testified, women supported her, but they said, 'I believe Anita,'" Knake says. "And the reason why they believed her is because it was happening to them, but no one wanted to face what she endured. Now, women are saying, 'Me, too,' which is more tangible and more concrete." The advent of social media, and the way women now turn to it to share their own stories, on their own terms, has created "a critical mass" of testimonials, Knake says. "Suddenly, when you have more people speaking, that always creates a tipping point," Thomas says. Former critics realize, "'They can't all be overly sensitive. They can't all be lying,'" she added. And more importantly, these testimonials made an issue that was otherwise removed from many lives into something personal. And when it's personal, Thomas says, you're encouraged to share your story, too -- whether on Facebook, with your friends or in an HR office making a formal complaint. "It definitely helps having a few women speak out in a public way, because it opens it up to everyone else," says Heni Kovács, who experienced workplace harassment in 2016 and reported it to her boss. She says she still felt hesitant about telling friends or her past coworkers, even months after leaving the job. But now, in the midst of this #metoo moment, she says she's encouraged by other women sharing stories. She feels like she can finally be open about her past experience. "Everyone feels like the times are calling for it. You know it's not an isolated incident." Thomas says the recent outpouring of support for harassment survivors has also engaged a critical population: men. At previous sexual harassment flashpoints throughout American history, men were listening, but they weren't engaged. But in the last month, the #metoo campaign and barrage of accusations has made the issue personal for millions of women -- and men -- as they shared their own harassment stories or realized this issue had touched every woman they knew. Thomas points to the important role men have played in previous women's rights milestones. Just a century ago, in the fight for suffrage, women relied on male supporters to add their voices to the conversation. In harnessing such widespread support and demonstrating in numbers before the White House, advocates won women the right to vote in 1920. "Just like any movement when we're talking about women, bringing men into that dialogue is so critical and must really be taken seriously," Thomas says.